Be sure to account for delivery time if ordering online or by catalogue. 4 What Do I Purchase for My Uncle and Aunt's 50th Wedding Anniversary? Weddings are momentous occasions which honor romantic love and the founding of a household. As many couples at this stage are just starting out on their own, housewarming gifts are traditional. The bride and groom may make specific requests, or may have registered at a department store. You are not restricted to those gifts on a wedding registry, and may choose instead to surprise them. Rely on your knowledge of the couple to determine if a surprise present is ideal for the occasion. Weddings are expensive events. In the case of older couples, this financial burden may be shouldered entirely by the couple. 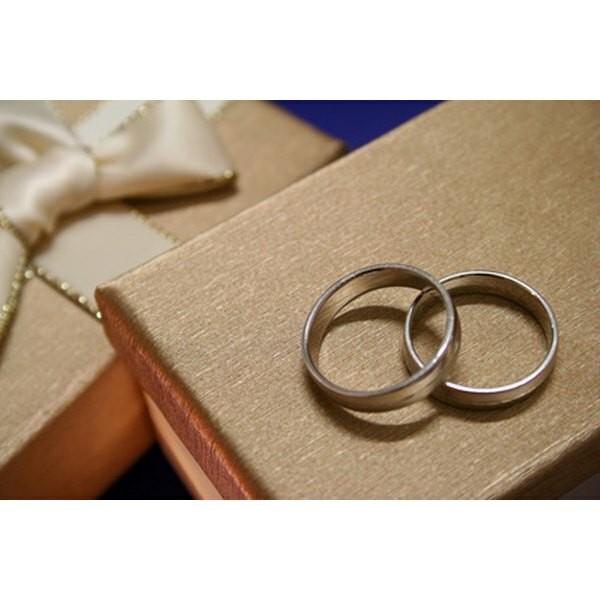 Ensure your gift is something they will never forget by paying for a portion of the marital proceedings. Pay the church fees, order the flowers, foot the bill for the dress or help defray the cost of the reception dinner. Be sure to inform the couple of your contributions in advance to prevent confusion about payments and responsibility later. Offer your own professional skills or services for the ceremony and reception. Offer to take photographs, serve as the disc jockey, cater the wedding or donate decorations. The couple may have cut back on those services to meet their wedding budgets, and your gift will provide much needed relief. This also gives you a valuable opportunity to promote your business and attract new clientele. If your friends are leaving for a honeymoon shortly after the ceremony, provide them with appropriate clothing and supplies that will help make their trip easier. Last minute essentials (like sunscreen) are often the first items to be forgotten, so packing these supplies saves the couple a trip to the store upon arrival. Surprise the departing couple with a car full of goodies to take to their honeymoon suite. When decorating their car for the drive home from the reception, fill the backseat with confetti and balloons. Hide small gifts such as lingerie, chocolates and lotion throughout the car. Or pack those gifts in a suitcase if they will be traveling directly to the airport or hotel. Secure a copy of the couple's house keys under the guise of a legitimate activity such as house-sitting, gardening or taking care of pets. Use the time the couple is on their honeymoon trip to remodel a room or arrange all of the gifts they received. If the couple has children, secure a babysitter or nanny to watch the children for a few days after the parents arrive to allow the weary honeymooners time to recover from the journey.